A Nigerian woman and two Pakistani men were Monday executed in Saudi Arabia after a Meccan court found them guilty of trafficking drugs, the AFP News Agency said, citing state media reports. Senior Special Assistant to the President on Diasporan Matters, Hon. 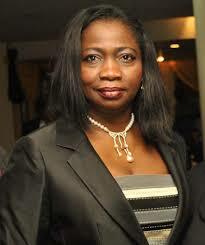 Abike Dabiri-Erewa, in response to the executions doubted the validity of the claims made by the Saudi authorities. Speaking with Journalists in Abuja Tuesday, Dabiri-Erawa highlighted Nigeria's ongoing tiff with the Saudi authorities over the fairness of their trials. "So, we have had cases where truly they didn’t commit the offence. We have appealed to the Saudi authorities to make the trials fair, open and ensure that justice is done. Even if you are going to die, you will know that you die for an offence you committed." Dabiri-Erawa made an appeal to the Nigerians visiting Saudi Arabia, asking them to obey all laws because something as harmless as a kola nut fruit is considered a drug in the Gulf Kingdom. “So, while we appeal to Nigerians going to Saudi Arabia, we know it is tough, obey the laws of the land. Even kolanut is treated as a drug. So, we will continue to appeal to Saudi authorities to treat some of the cases with some form of leniency." Since the start of the new year, Saudi Arabia has executed eight Nigerian nationals, with the latest occurring on Monday. “Like I said, we have 20 of them in Saudi. This is the eighth to be executed and we are hopeful that maybe we will be able to save the others. So, it is pathetic. It is tragic but we will continue to appeal to Nigerians to obey the laws of the land where you are. "“However, we expect the trial to be fair, open and ensure that justice truly is done because somebody is sentenced to death," Dabiri-Erawa added.